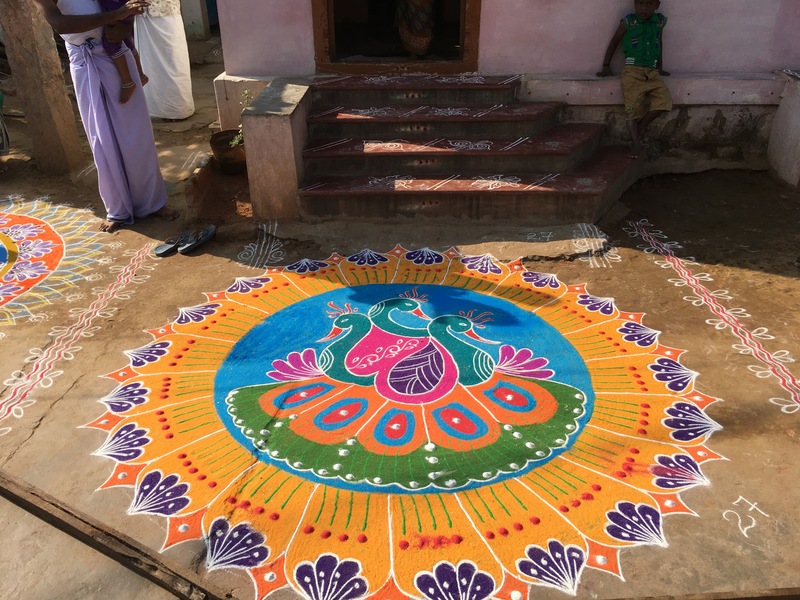 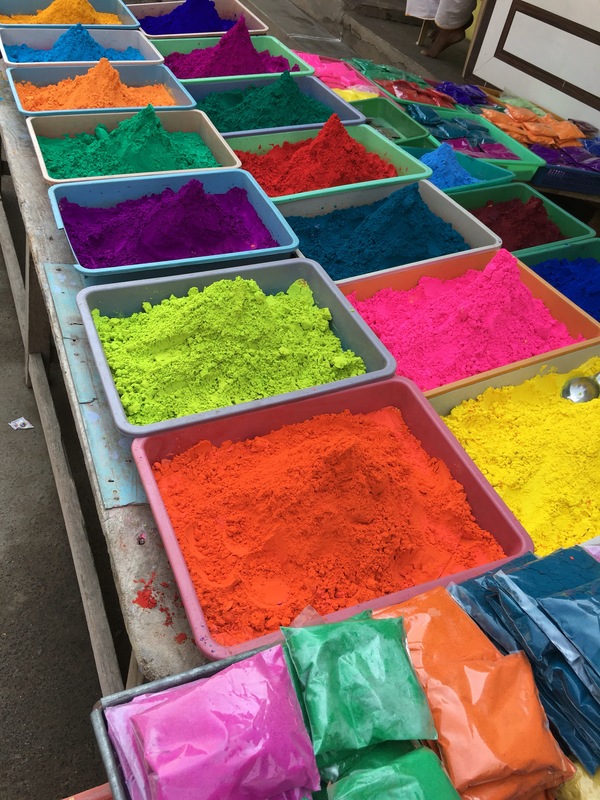 Overnight, elaborate RONGOLIS, drawn with brilliant colored powder, appeared in front of village houses and shops: the great Harvest and Thanksgiving feast of Pongal, Day 2. 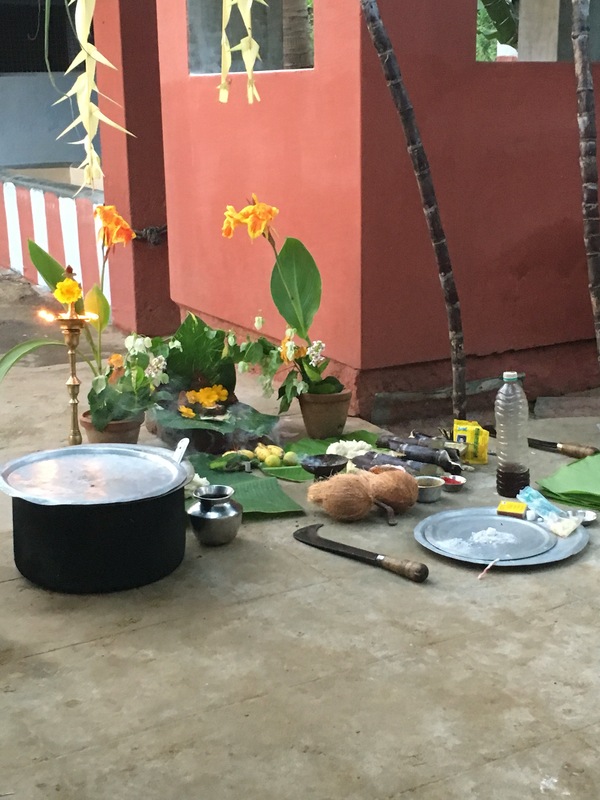 At the ashram cowshed: Pongal altar, and Shantivanam ‘s young prior, with the pujari on the left. 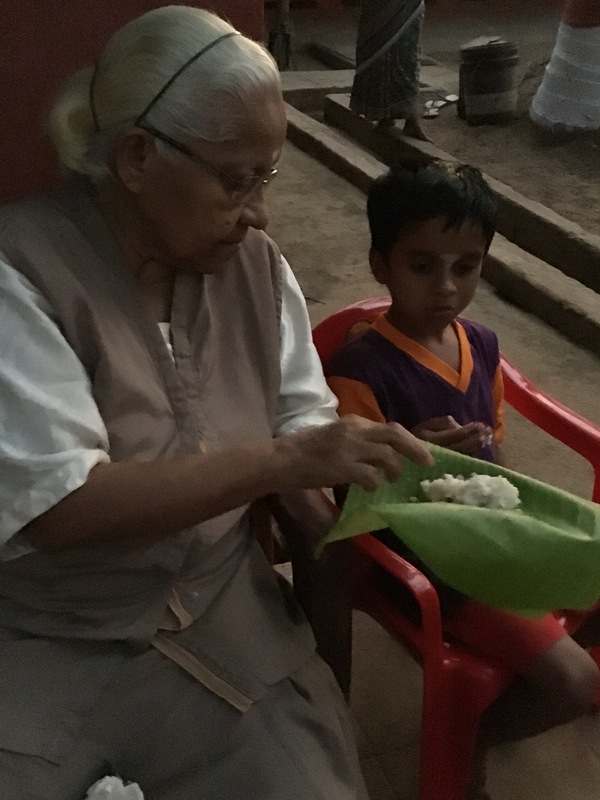 …Sister Mercy, Ananda ashram’s St Francis, performed the ritual Pongal Rice feeding. 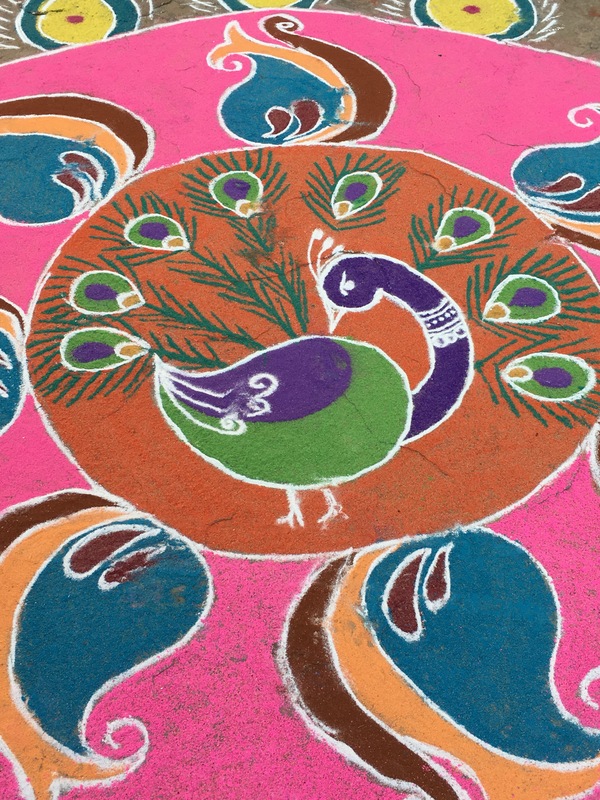 And afterwards,we humans enjoyed the sweet rice. 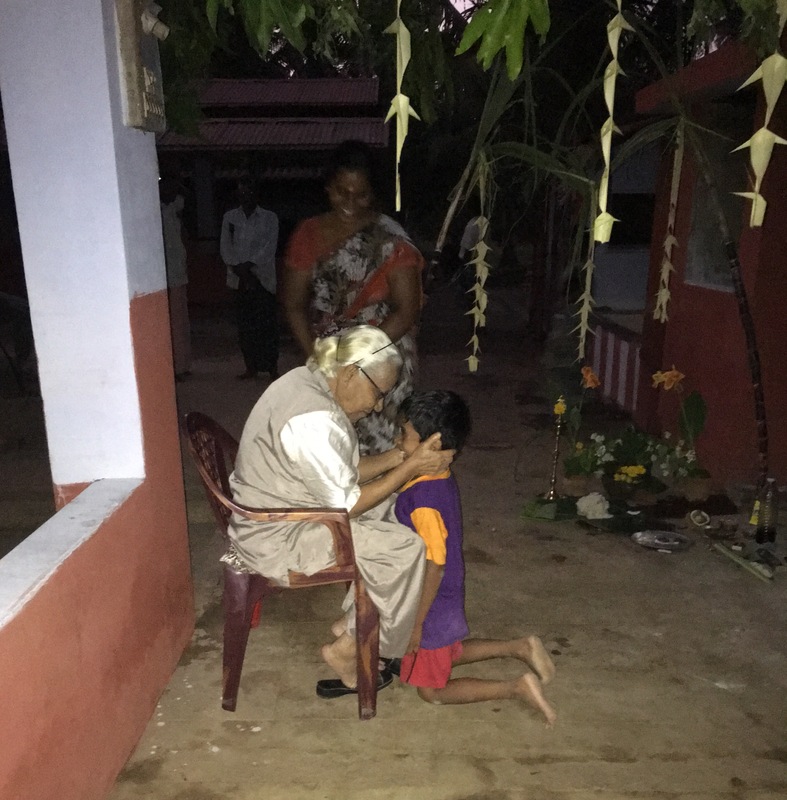 Amma- Sister Mary Louise – shared hers with 6.5-yr-old Abishish. 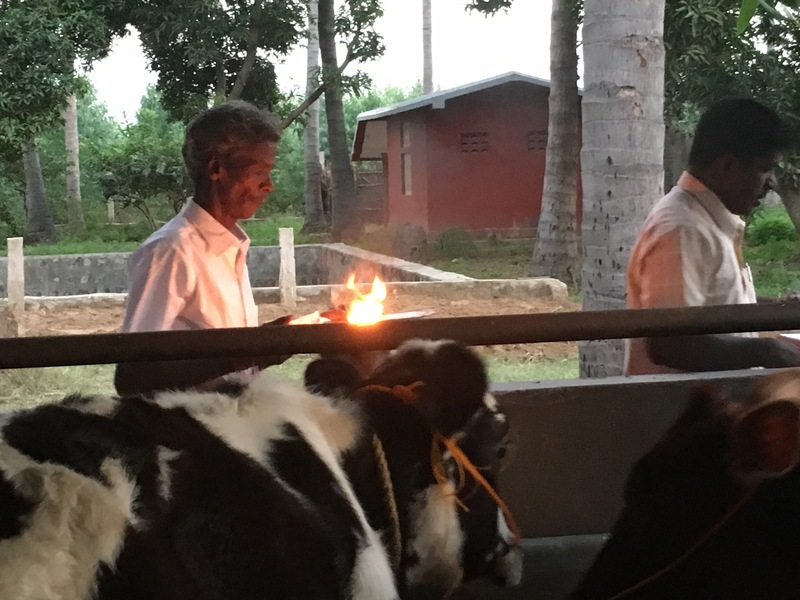 Earlier, he had been the attentive attendant bell-ringer as his dad and the pujari blessed the cows. 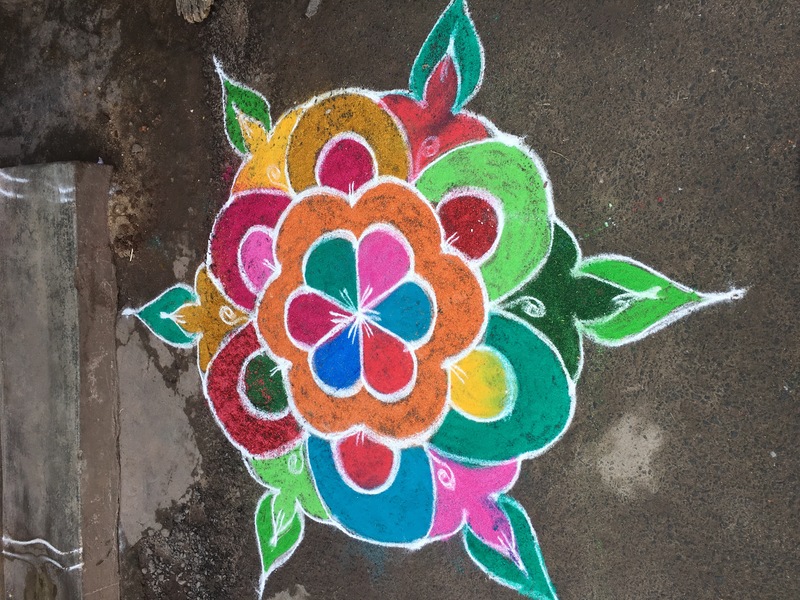 When he’d had enough, Abishish became full-on 6.5 years old again. 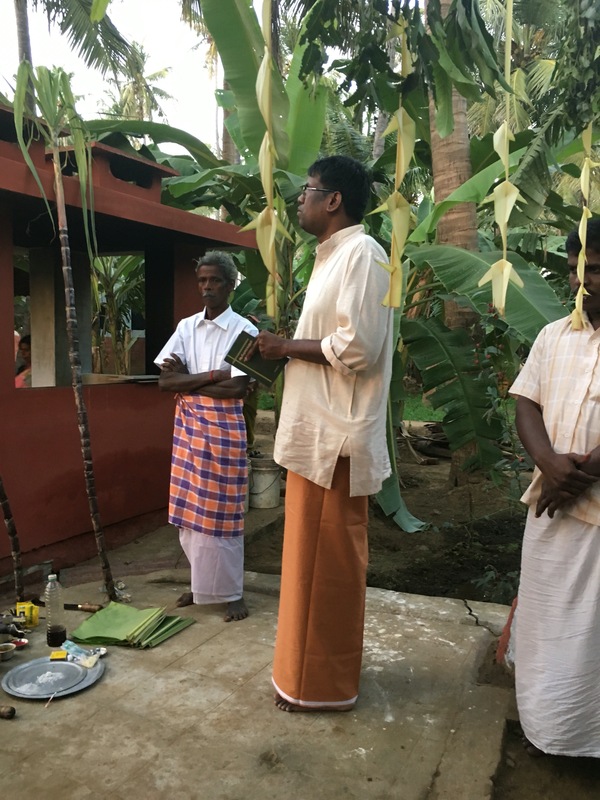 Towards sunset, I heard him ask for Amma’s blessing.